PANDORA Hearts Signature Necklace 590514CZ-45. 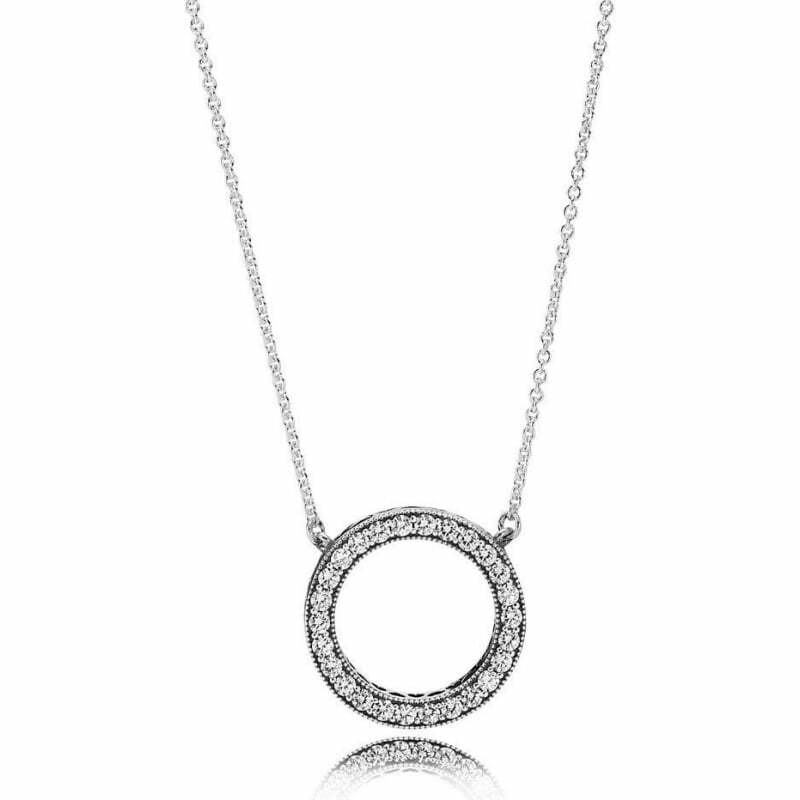 This reversible signature circle design has PANDORA lettering on one side and sparkling stones on the other. 45cm necklace in sterling silver fastened with a lobster clasp (adjustable to 38cm or 42cm).